This is a parody of courtroom dramas like Ayn Rand’s THE NIGHT OF JANUARY 16TH. 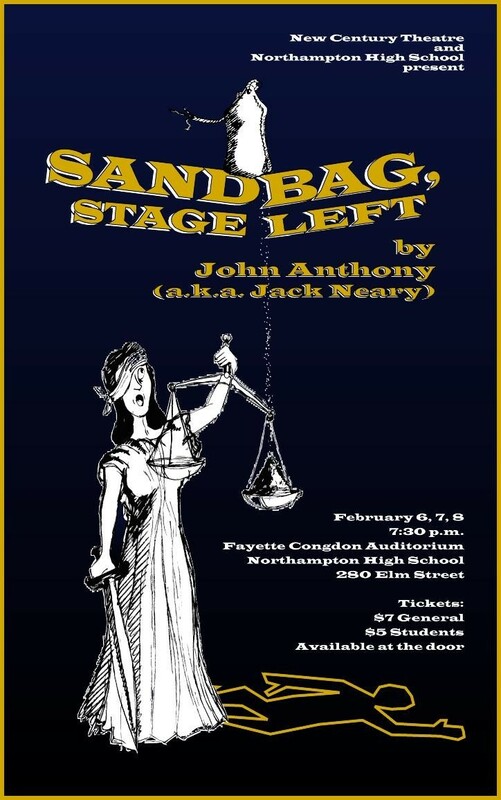 It is easily the silliest thing I’ve ever written, and, truth be told, when we produced it at the Summer Theatre at Mount Holyoke College in 1999, it elicited more laughs per minute than any play I’ve ever directed. It’s just plain goofy, and that’s a good thing. The basic premise is that a community theatre diva has been killed by a falling sandbag during the "So Long, Dearie" number in a production of HELLO DOLLY. Her wimpy husband has been accused of the crime, and brought to trial. From this point on, the plot, such as it is, pretty much defies description as Defense Attorney Static and Prosecutor Cling present their cases to Judge Roy. L. Been (rhymes with "pin"). One by one, various community theatre types take the stand to testify, and it is the nuttiest parade of witnesses this side of Perry Mason. I wrote this epic under the name "John Anthony," but the show really works, so I hereby take full responsibility as myself.